So today I'm going to be doing a haul of the things I bought from Paperchase and I was so excited to take these pictures so I could start getting myself sorted so let's get into the stuff I bought. So I have never been to Paperchase before but I decided to have a look round when Luke came into town with me as I wanted to pick up a few new notebooks and some stationery stuff so I dragged Luke around the shop but if I'm honest I think he enjoyed it as much as I did but I definitely love the stuff I picked up and I know I will get my use out of all the stuff I bought. The first thing I picked up was this magnetic notebook and I just loved how pretty this looked and I decided this would be my new notebook for my blog ideas and stuff like that as I feel I need to start getting more organised with my blog so I know what pictures I need to take and stuff like that. 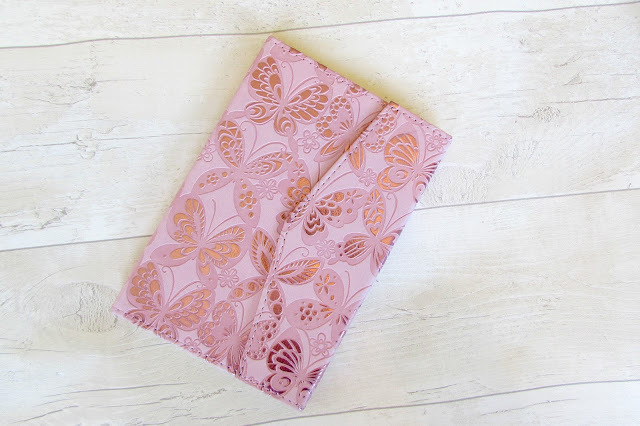 This was £8 which was a little expensive but I was happy to pay it as I know it will last such a long time and again I just think it looks so pretty and feel I know I will get my use out of it so for £8 I was so happy to pick this up. The next two things I picked up was a pack of two notepads as I thought these would be perfect for my other commitments so I could get more organised with those too and I didn't want anything too fancy as I don't need to write too much down for these so I knew these would be fine for that. 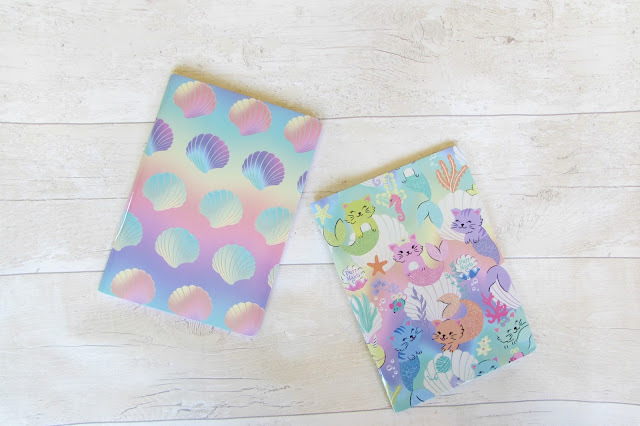 I love the scallop/shell notepad but I'm slowly warming to the cat/mermaid notepad as I feel it's so cute so again I will definitely get my use out of these. These were £5 but you got two so I didn't think that was too expensive and the quality of the notebooks are so worth the money. 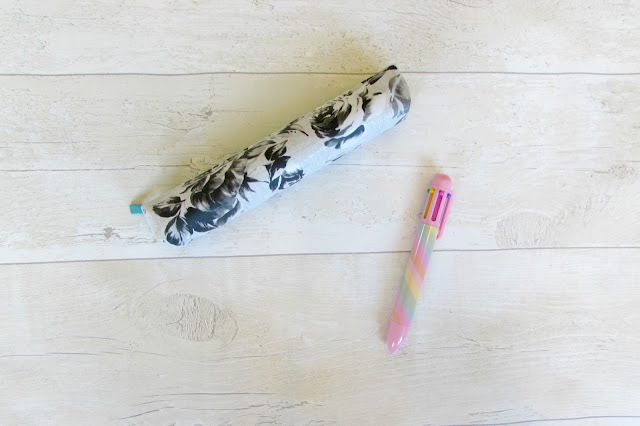 The next two things I picked up was a little pencil case which I could put in my bag as I've started carrying my Filofax around and I wanted something to keep my pens inside and the size of this pencil case was perfect and it fits nicely in my bag. It fits quite a few pens in too which is good and this was only £5 so again I didn't think it was too bad. The next thing I picked up was a multi coloured pen which I wanted so I could use different colours to keep me more organised in my Filofax and this was only £2.50 but the pattern on this was so cute and Luke picked it up for me. 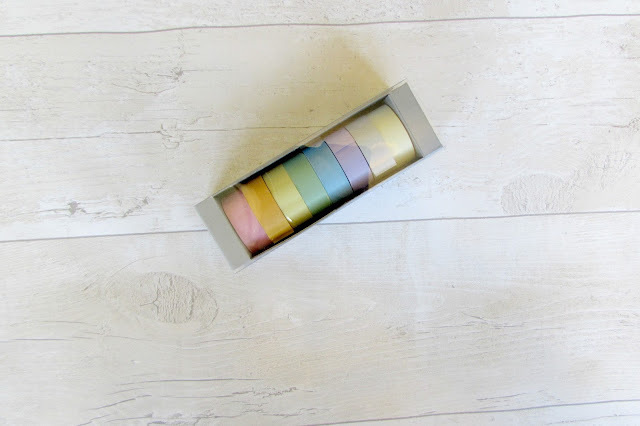 The last thing I picked up was some washi tape as I just want to start getting more into scrapbooking and stuff like that so I decided to pick up these rainbow tapes which I'm so excited to start using in my dairy and other stuff I really can't wait and these were all £6 for 8 tapes which I didn't think was bad at all. I can't wait to pick up more of these two I really can't wait to get into decorating my planner, Can you tell I'm excited? Have you shopped at Paperchase? I agree it was my first time in there but I'll definitely be going back! and Thankyou! I agree I'll have draws full soon but nevermind! Really cute things! 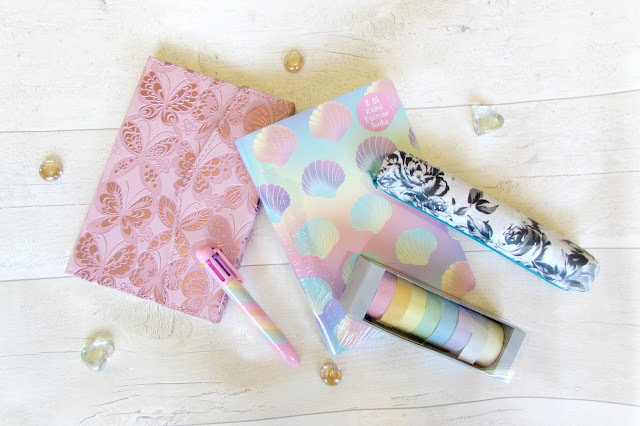 That butterfly notebook is just sooo pretty! Thankyou! and I agree I think that may be one of my favourite purchases!